IWOC is pleased to make gift memberships available—as the perfect way to show support for the freelance writer in your life! 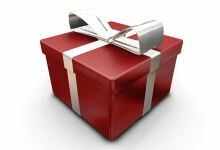 Each gift membership is good for one year from the date of membership activation. When you fill out and submit the Gift Membership form (below), you will be redirected to PayPal to pay for the gift. When we receive confirmation of payment, we'll set up your gift recipient with an IWOC membership and we'll send him/her a confirmation email with your personal message (optional). So what are you waiting for? That perfect gift for the freelance writer in your life is just a few keystrokes and clicks away!